ruthdelacruz | Travel and Lifestyle Blog : Hot Young Designers (HYD) Launches First Collection for Fashion Face Off 2011: Shop Now! 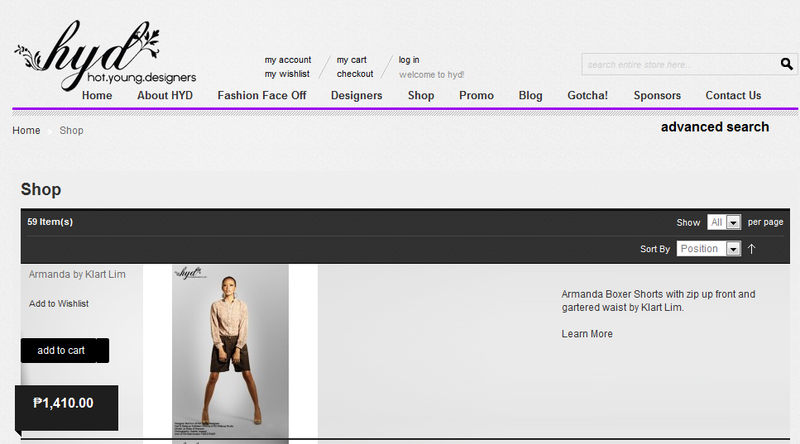 Hot Young Designers (HYD) Launches First Collection for Fashion Face Off 2011: Shop Now! There is a new shop that has opened and it features the youngest designers in the Philippines! Help them in their career and wear the most fashionable pieces from future's biggest names in Fashion. Lim, Renan Pacson, Bailey Dava, Marc Blanco and Jackie Abueg. HYD’s partners, XEND business solutions and Dragonpay. to sell their collections at the Global Pinoy Bazaar on November 5-6 at the Rockwell tent. I just looove maxi dresses! This will make me feel like a goddess! Shop now and show your style. Check out the Promo page to get a chance to win a gift pack from Ponds Philippines! © ruthdelacruz | Travel and Lifestyle Blog : Hot Young Designers (HYD) Launches First Collection for Fashion Face Off 2011: Shop Now!